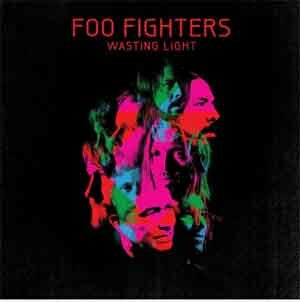 Music Review: Foo Fighters – Wasting Light (2011) | Mehta Kya Kehta? Foo Fighters just never ceases to impress. Wasting Light was released earlier in 2011. I heard the album this past week. A little late but totally worth it. It is punk moulded with organized growls, lovable high-pitched vocals, enough aggression, not overdone solos, grunge (of course), a little of blues and rock n’ roll, commercial but unconventional and at the end of the day, just pure jumpy madness. I missed the Wasting Light pre-release concerts in Los Angeles because I was out of town. There is one coming up next month and I can’t wait to be there and hopefully a lot more. Foo Fighters have a great credibility when it comes to live shows. The energy is kinetic, at least, that is what I have heard from friends, and it has a cult following, which is what I know. I am huge on Foo Fighters. Dave Grohl, the vocalist, rhythm/lead guitarist and chief songwriter for the band wears too many hats and is arguably one of the most talented musicians. What I mean by “too many hats” is all his involvement in so many side projects and pre-Foo Fighters work – Nirvana, Queens Of The Stone Age, Them Crooked Vultures and Probot. Wasting Light is everything that I have mentioned. It’s a feeling you get when you kickstart a bike for the very first time. P.see: Of course, each and every song in the album is great. A lot of the stuff is on Youtube. I like it a lot !! !